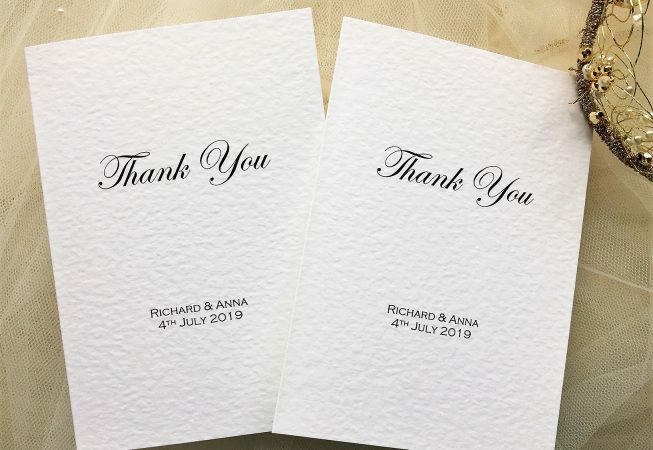 Elegance Thank You Cards are available for all special occasions when you wish to send a personal thank you. 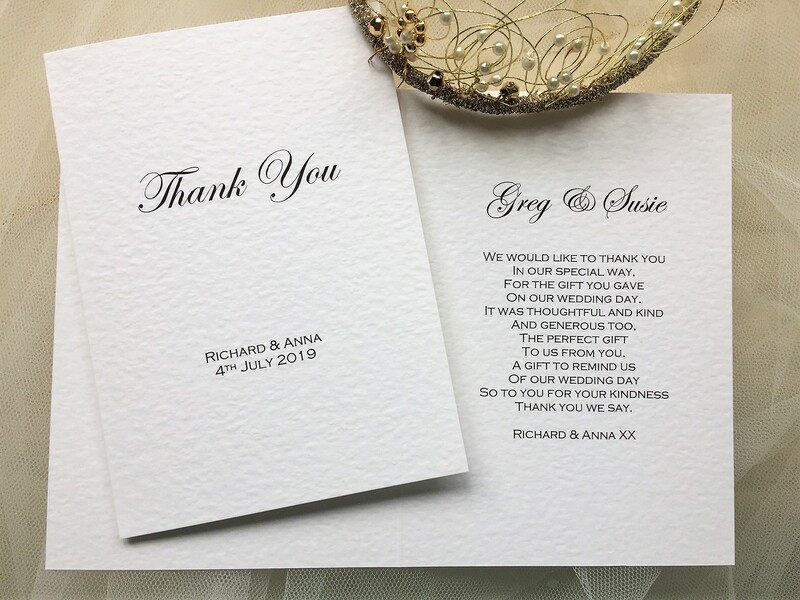 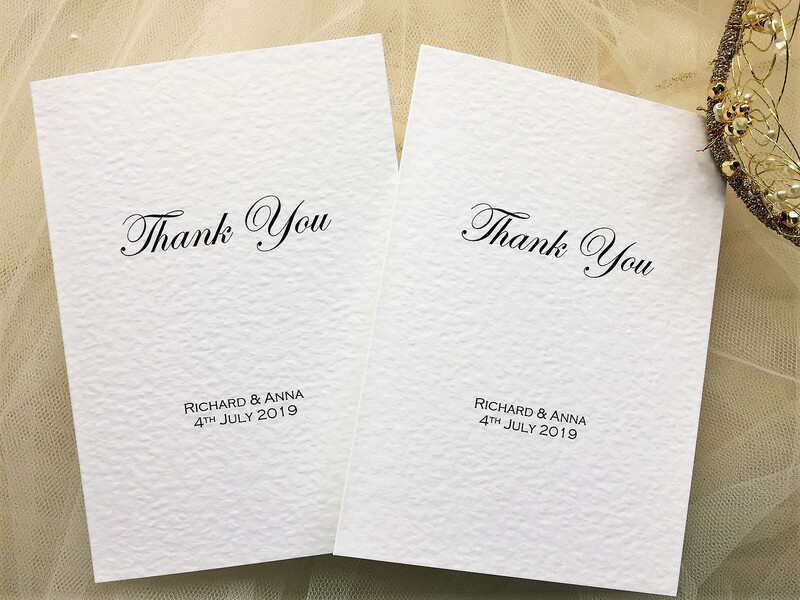 Thank You Cards are printed on a thick heavy weight (270gsm) hammered card and are available in white or ivory. 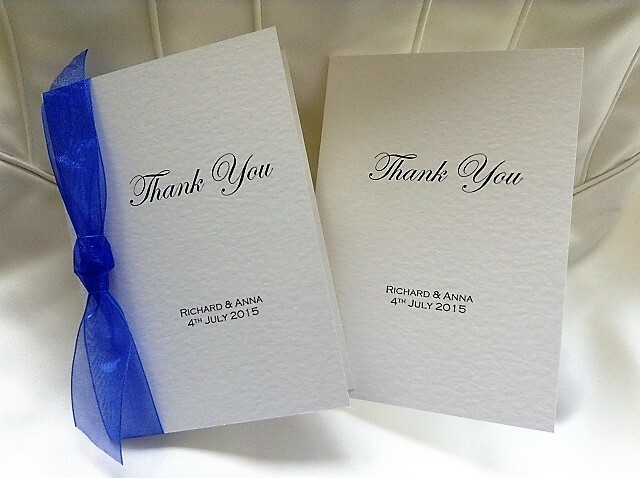 Features names of Bride & Groom and date of wedding on the front, totally personalised Thank You Cards. 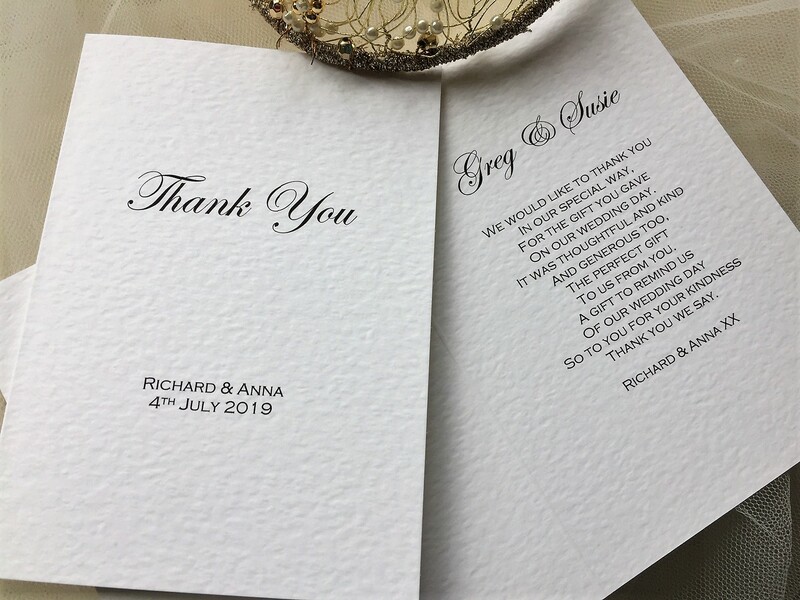 We have a few thank you poems and verses under the ‘Wording Ideas’ tab which could be printed inside your thank you card or alternatively we can print your own message.